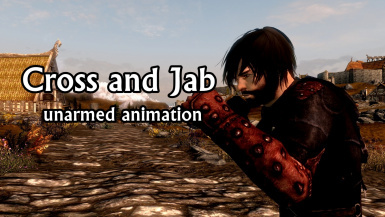 This mod enables a couple unarmed attacking animations that were left in the Oldrim files. I DID NOT CREATE NOR TAKE ANY CREDIT FOR THE INTRODUCTION OF THIS MOD. This is just a mod I enjoyed using in my unarmed playthrough. I thought some other people may have wanted an SE port of it so here it is. I'm not sure why the download isn't working for some people, but if you can't download it here, the link to the Oldrim version is above and here's a tutorial for converting animations to Skyrim SE. NOTE: These animation do NOT sync with the vanilla attack speed which inevitably will cause annoyance. I highly suggest New Unarmed Hand to Hand Skill by Budcat (this one will fix the attack speed issue) and Unarmed Reworked by gmartins92 if you're planning on doing an unarmed playthrough.